Today’s global emphasis on environmental sustainability has made a major impact on how many industries work. 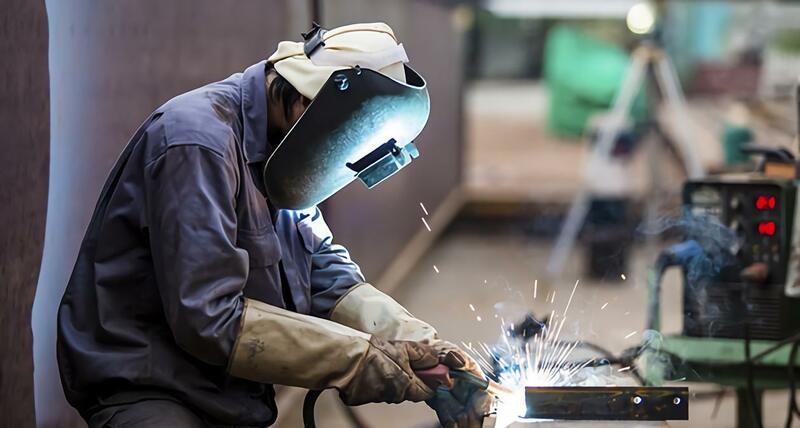 From the Consumer Electronics Association’s ongoing push for green initiatives to China’s enormous emphasis on clean energy technologies, the industrial world is making a concerted effort to adopt healthier, more efficient methods—including welding methods. Here is a sample of the environmentally friendly welding technology that today’s (and tomorrow’s) welders may be expected to use. Traditional soldering requires the use of some kind of flux, a substance that prepares the substrate to receive the solder, prevents oxidation at the join, and improves solder wettability. Unfortunately, the materials used to achieve these effects can pose certain threats to the environment. Corrosive agents must be cleaned away from the finished solder point, and the solvents that accomplish this may be toxic to human health. The very process of traditional soldering can cause chemical changes that release unhealthy fumes into the air. Vacuum soldering solves this problem by relying on hydrogen instead of flux. According to Transys Electronics, hydrogen applied in a vacuum can provide all the same functions as flux to stabilize and secure a join. By reducing pressure while the solder is in a liquid state, a precise temperature can be maintained as the solder solidifies, creating an unusually perfect join. Better yet, the hydrogen does all the post-solder “cleanup work” without any of the toxic issues caused by flux. Friction welding, also known as friction state welding or FSW, is a fascinating method for reducing the energy use and toxic by-products of the welding process. As described by Manufacturing Technology, Inc., this process involves the use a rotating tool that generates precisely delivered amounts of friction to the two materials to be joined. The friction heats the materials into a state that allows them to meld together without any need for fillers or flux. The elimination of toxic fumes can prevent a wide variety of potential health issues in humans, from acute or chronic pulmonary disease to fatal asphyxiation. Friction welding not only leaves the air cleaner, but it also requires less energy expenditure. OEM Update notes that the process requires only the amount of power necessary to operate an electric motor—creating a much smaller carbon footprint than the array of transformers, inverters, and other major power-consuming components employed in traditional welding. Diffusive welding, also referred to diffusive bonding, combines heat and pressure to create a strong bond between different materials—even very dissimilar ones—with no need for environmentally troublesome flux. Because the elevated temperatures and pressures must be applied for long periods of time (and the vacuum or protective atmospheres required to make it work), the process is considered too costly and impractical for large-scale production, according to TWI. On the other hand, diffusion welding offers the advantage of producing minimal changes and deformations in the parent material, resulting in a “truer” final product. For green welding companies, however, the greatest attraction will be the fact that this process is relatively clean in that it doesn’t release dangerous fumes or particulate waste matter. Of course, the techniques listed above call for specialized equipment and facilities—and above all, specialized career training. That’s one reason aspiring welders can benefit from getting the most thorough education possible in cutting-edge methods and materials, both through formal classroom training and through on-the-job apprenticeships. Even after the initial education phase has been completed, continuing study of industry journals and other media can prove immensely helpful. By staying on top of the latest eco-friendly welding techniques and trends, welders can prepare themselves for the many new and exciting opportunities that are arising due to green initiatives around the world.